Year 6 of Fly Fishing, Friendship, Good Humor, Good Times! 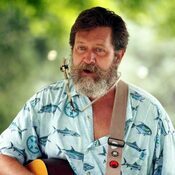 Folk singer, song-writer Alan Cayn will be with us again this year singing contemporary and traditional folk music (with fly fishing inspirations), accompanying himself on mountain dulcimer and guitar. Welcome to the Paint Creek Fly for Hope! In the trout tournament your goal is to catch, measure and release as many trout as you can within the event fishing period. At the start of the day you must select a single fly for the event. Once you have selected your single fly for the day, you must use only that fly for scoring points. 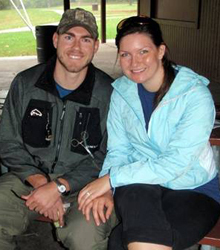 The Fly for Hope concept is not wholly about fly fishing, nor competitive fishing, but more about friendship, good humor, good times and raising funds for a great cause: Reeling and Healing Midwest. Also join us for our Castapalooza Fly Casting Championship. Show us your finest fly casting skills at 20, 30, and 40 foot rings and now distance targets. Win BIG prizes! 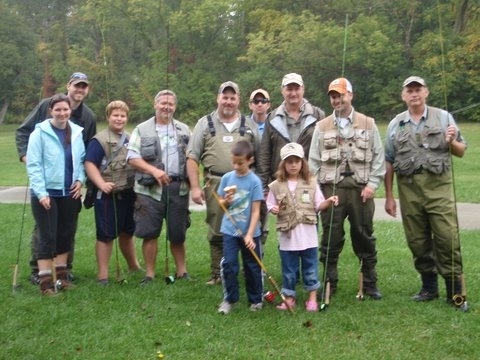 The Bluegill Fly Fishing Event for Kids returns this year at the park pond. See the "Kids Bluegill Event" tab for details. This ever-popular event is hosted by Ryan Rocks Outdoor Adventures. And we're planning a fish fry, hot dog & hamburger cookout with all the fixin's after the day's events (kids are FREE). All-in-all it makes for a great day with lots of food and prizes! Yes, There'll be lots of prizes. Again this year we'll offer our great new traditions! The "Caddis Cup" - This is a special division of The Paint Creek Fly for Hope where any philanthropic organization can enter teams of 2 for $200 per team. 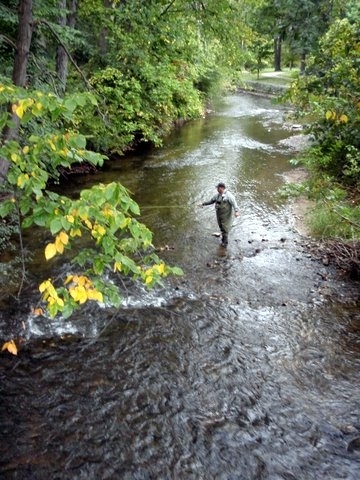 This includes groups like our local Trout Unlimited Chapters, the Michigan Fly Fishing Club, the Federation of Fly Fishers as well as organizations like the Fly Girls of Michigan and the Kensington Field and Stream Team. Designed as a way to promote some friendly competition among these organizations, the winners will take home half of all the Caddis Cup team entry fees for the organization they represent as well as the coveted Caddis Cup trophy for a year. Priority Start Times - Again this year in addition to the entry fee, teams are encouraged raise additional donations through friends, family and corporate sponsorships. To help facilitate this request teams are encouraged to set up their own website through Crowdrise. The 3 teams who raise the most donations will be rewarded priority start times and their choice of water on Paint Creek. Anyone who has fished this event in the past knows how big of an advantage that can be. The "Buy a Fly" option. Prior to the event each participant will have the option to purchase the rights to use one additional fly should the first become lost or unusable. The "Buy a Fly" option is $10 before the tournament begins and $20 after the tournament has begun. Just one extra fly may be purchased which you must provide. As some of our most experienced anglers will tell you, it really stinks to lose your fly in the first 5 minutes of the event and not have the rest of your fish qualify for the remainder of the day. The "Buy an Inch" option – Teams will have the option to purchase up to 5 inches of fish prior to the competition during the registration period. Each inch purchased is $5. This will be tacked on the teams total at the end of the competition and be scored accordingly. As this competition usually comes down to 1 fish separating the first place team from the rest of the group, this could make the difference between going home with and without bragging rights. Play it the way you like it! It's all meant to be a fun and rewarding day! Don't miss it! If you have any questions about this years event provide your name, e-mail address and a message in the contact form below. Click on the Crowdrise logo above to access the Team Registration Site! At Crowdrise you can "Set Up Your Fundraiser" and start your own Team! It's easy and it's fun! Want to check the weather forecast for Rochester? 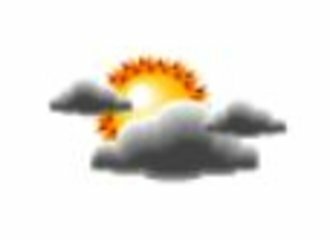 Click on the cloud image below.